Translated from Sindhi by Sarla Kripalani. The Sindhworkis originated in Hyderabad, Sindh, in the mid-1850s. In less than a hundred years, their trading outposts in different parts of the world had grown into multinational businesses. 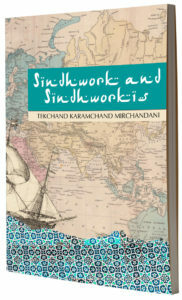 Sindhwork and Sindhworkis, first published in 1920, is an account of the experiences, insights and perspective of one who led the Sindhworki life himself.